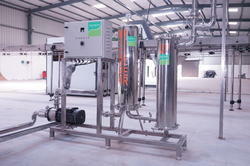 Our prominence in this domain has helped us come up with high grade Industrial RO System. 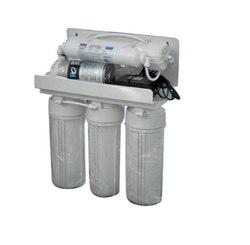 These are manufactured under the strict supervision of our experts using advance machines and equipment. 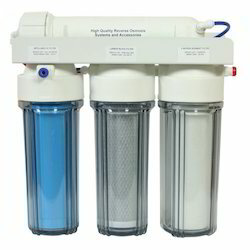 With high efficiency, these products completely remove all kinds of infectious substances from the water and make it pure enough for drinking. Our offered systems are widely acclaimed in the market for their effectiveness, easy installation, low maintenance and long service life. 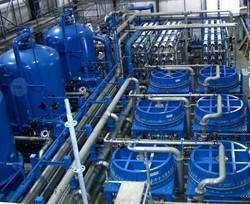 We have gained recognition as a flourishing organization for providing a wide range of Fluoride Removal Plant. 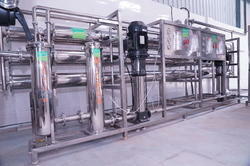 The given plant is specially designed to remove fluoride from the drinking water. 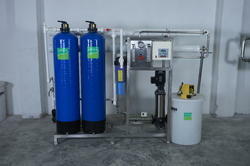 Domestic RO Plant is easy to use, easy to install, safe to use and provide mineral water at a nominal price. 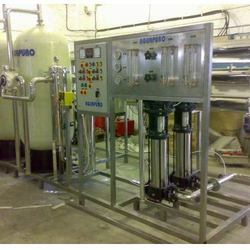 With our wide range of the expertise and experience in the treating water in industrial and commercial segment, we step into the Domestic Market with the Best Unit to give the Purest Form of Water using the multiple filtrations and the state of the art technology of Reverse Osmosis, the process used for making Packaged Drinking Water & Mineral Water. 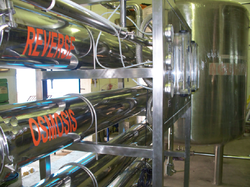 Reverse Osmosis, the membrane technology removes the most of the dissolved impurities, organic impurities, toxic and heavy metal ions, bacteria and virus. 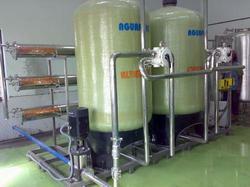 We are engaged in offering Industrial Water Filters & Filter Media to the clients. 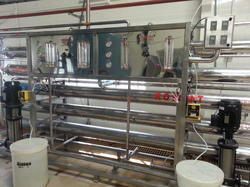 We are engaged in offering Water Disinfection Systems. Manual or electric self-clean or nothing. 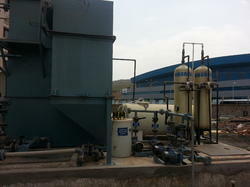 We are engaged in offering Small FRP RO Plant to the clients. 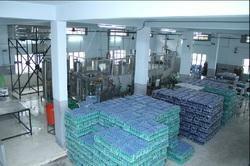 We are engaged in offering Carbonated Soft Drink Plant to the clients. 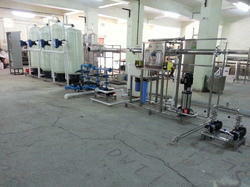 We are the leading and prominent Manufacturer and Exporter of SS RO Plant. 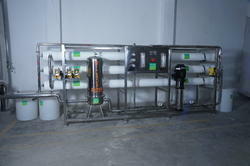 We are engaged in offering Containerized Sewage Treatment Plant to the clients. 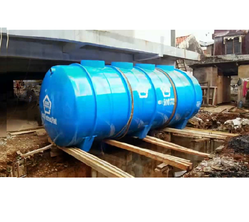 These Portable Sewage Treatment Plant is available in RCC constructed designs for commercial and residential buildings as well as Mild Steel FRP Lined and Fibre constructed tanks for easy installation and commissioning. 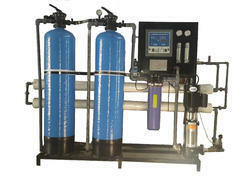 We are leading names in the field of offering competitive solutions for Ultrafiltration System. 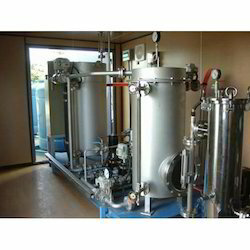 These are systems based on separation process using membranes having pore sizes in the range of 0.1 to 0.001 micron and provide assistance in removing colloidal materials, high molecular-weight substances as well as organic & inorganic polymeric molecules. Keeping in mind the ever-evolving requirements of our valuable clients, we are offering an exclusive range of Sewage Treatment Plants. 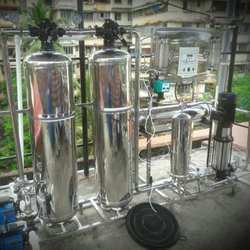 The given plant is extensively demanded by various industries for the removal of all kinds of contaminants like physical, chemical and biological from the water. These treatments plants are designed with accuracy and care by employing top-notch components and latest technology under the strict surveillance of skilled professionals. 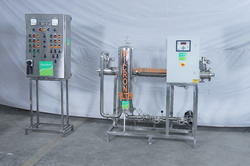 Moreover, we offer these at market leading price and ensure to check it before delivery. 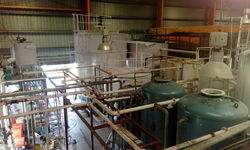 We are the leading suppliers of Industrial Water Treatment Plant, Matching up with the exact requirements of customers, we are involved in presenting a wide array of Industrial Water Treatment Plant.